After 12.5 years and 105,000 miles, the black car has departed. 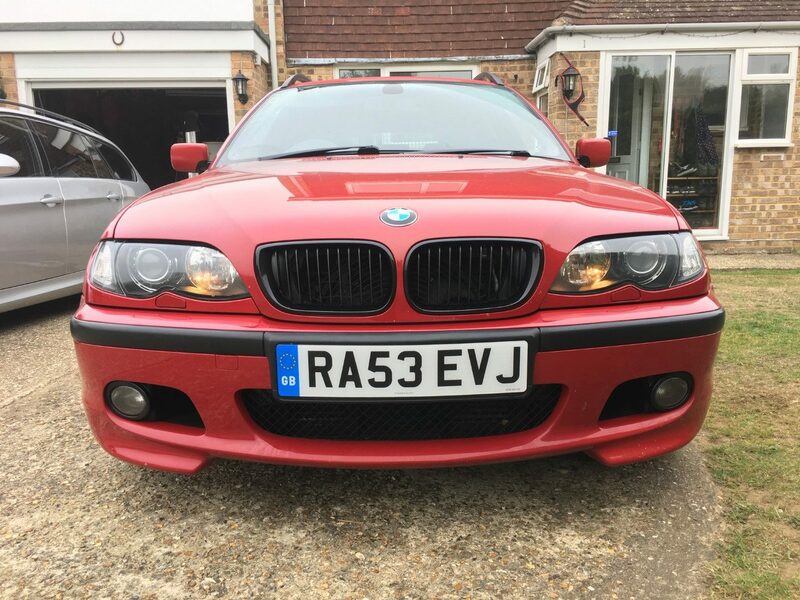 Bought in early 2006, it followed two E36 M3s and raised eyebrows at the time. A diesel? An estate car? Fast forward through countless holidays and road trips, with freeze frames of it as one of our wedding cars, using it to move house, bringing our puppy home for the first time, our first child home for the first time, and then our second. 25 laps of the Nordschleife. 20 hour days driving around the country on business. Trips to Rock am Ring, Cairngorms, Cornwall and Snowdonia. It had a magnificent innings and by the end, with two kids and a golden retriever, it made perfect sense. The 335d was acquired in 2013 to replace it but that never happened. The 330d remained our go-to car for all day-to-day activities right up until its sale. It was too good, too reliable, always ready. It never once let us down. Given the 335d failed to depose it, a significant event was clearly going to be required to move the black car on. I had supposed that event would be a plug-in EV – and that is still likely to shuffle the pack at some point – but in the meantime a curve-ball arrived. This latest chapter actually started in May 2011, when long term BMW E30 S50B32 hero Ian decided to buy a second car. We adventured north and bought an “Imola Rot” 330d built in October 2003. While that build date is just eight months after the black car, this red car benefited from a host of improvements mainly around the engine (more capacity, horsepower and torque), and the gearbox (six speed manual). That car stayed the night while logistics were sorted, and I wrote a comparison piece at the time. In the seven years since, Ian proved yet again that he knows how to look after a car. The M3 number plate went in the bin. Dents and rusty bits were resolved. Both interior and exterior were restored to near showroom conditions. Heated seats were retrofitted. The Scandinavian engine pre-heater unit with remote start was fitted. The stereo was sorted. It was well and truly fettled. When Ian came to move the car on, as I’d long ago said I’d like to have it, he offered and without thinking I said yes. When Ian handed the car over, I plonked it on the front lawn and wondered what I’d do with it. There was no plan at that point. I realised I wasn’t entirely happy with a car existing on the lawn, so I cleared the garage. That was a significant improvement. Yet, three cars still felt like overkill. The black car still performed a useful function in tackling the school and station runs, moving the dog around and generally dealing with household chores. Yet fundamentally it became clear that Diane would rather be driving the silver car and I’d rather be driving the red car. The red car reminds me of my E30 M3s. 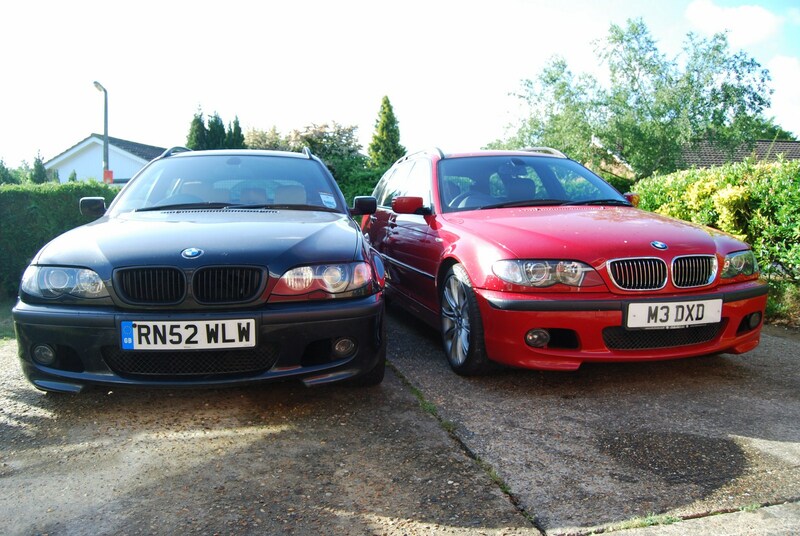 The red car is better than an E46 M3. Yes. You’re fuming now aren’t you? The first point. I find myself going out to work on the red car in the evening. I find jobs to do. They aren’t chores. While I’ve no where to go, I take it for drives because I want to drive it. That’s how I was with the E30 M3s. It has a great sound system. It’s a hoot to drive. It feels alive, and restless. I need to focus when going quick. The M5, the Impreza and the 335d were all devastatingly fast, but felt refined and almost tame in a way that this car, and the E30 M3s, do not. The second point. E46 M3s aren’t facelifted. They are expensive to run without being meaningfully faster than this 330d (drag-strip use excluded). They eat fuel, lack torque, and aren’t practical (no touring). They do though have one very real and important advantage: they have a limited slip differential. 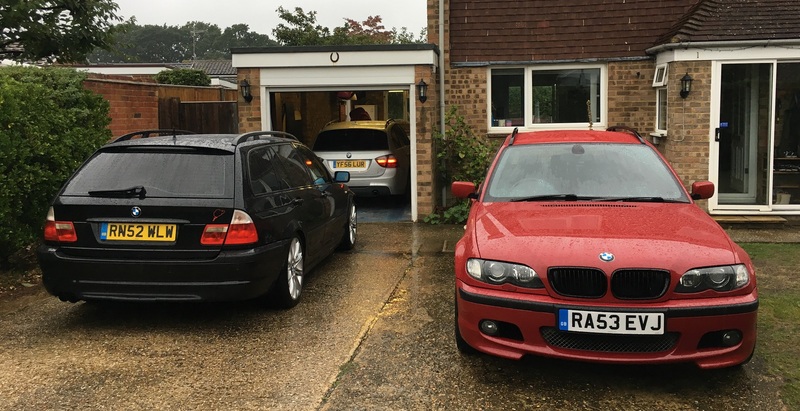 So I moved the black car on to fund an LSD for the red car and now it is the best E46 for me. You may prefer the M3. That’s nice for you. The red car is better for me though. Complete the audio install (well thought out, all parts provided, just another 6×9 sub needed installing). Front lower grill faded from black to grey. Wheel paint lacquer lifting and peeling. Privacy glass needed to prevent dog and children cooking. Boot liner needed to prevent interior becoming infested with golden retriever hair. In two short weeks I’ve made excellent progress on that list. I completed the audio installation and I’m now very happy with the way it sounds. 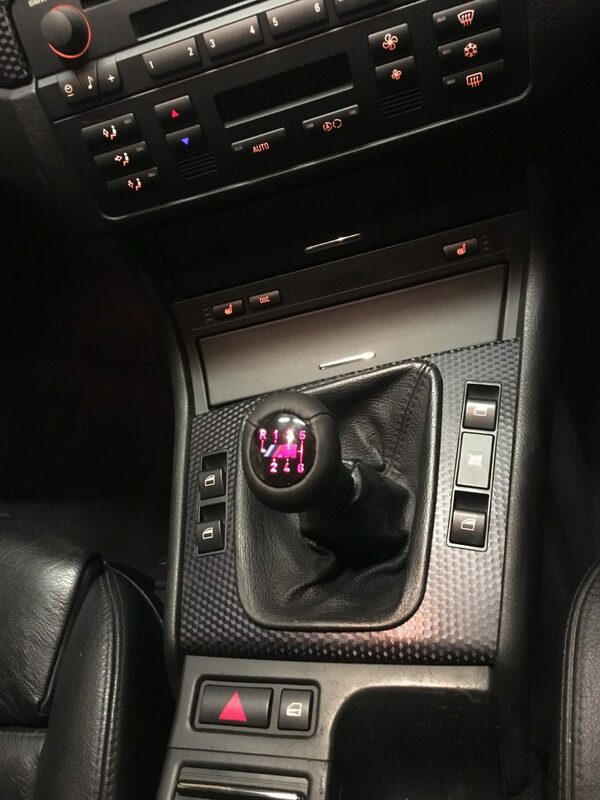 I’ve replaced the gear knob with a brand new, illuminated item. I’ve ordered a temporary steering wheel; once that arrives I’ll be able to send off the existing one for refurbishment. The final drive has been refurbished by Bird’s – it now drives very nicely indeed. And I’ve sourced and fitted a boot liner. The car now has 35% transparency privacy glass. Having got so used to it in both cars, I felt really exposed without it! I have another set of wheels for the car in storage; I’ll probably wait until the spring before fitting them. I really hope I can keep this 153,000 mile, 15 year old car, in as good a condition as that in which I received it. The silver car seems to have become the family wagon (which is hilarious in itself – turbos whistling etc! ), so the red car should stand a chance so long as I can keep it on the black stuff. Hello, always enjoy updates from your e46 touring ownership experience. 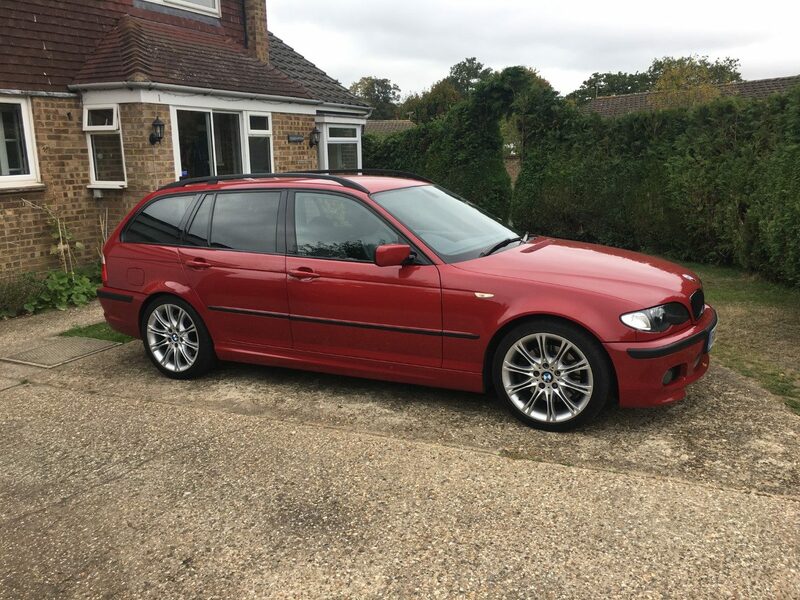 I have a 330d e46 touring that now looks to require a gearbox rebuild. Any knowledge or advice you may be willing to share would be appreciated. 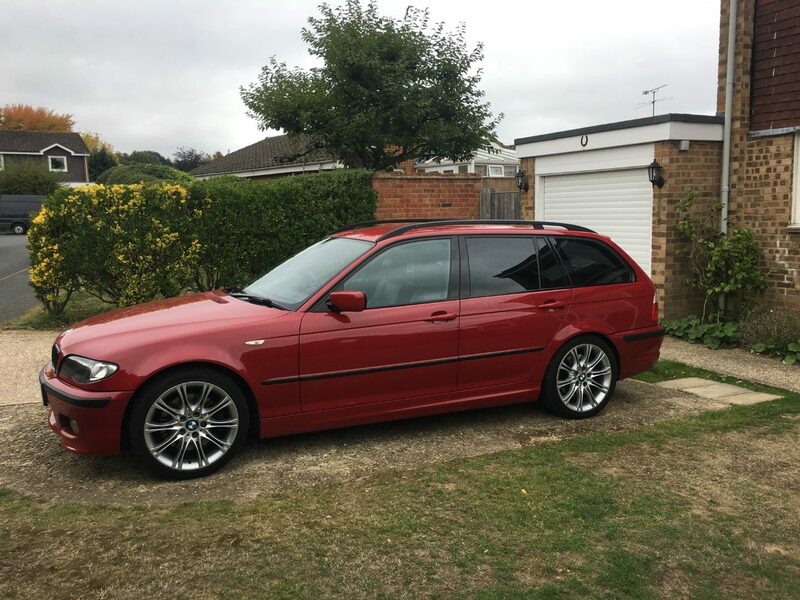 Have looked on autotrader for an alternative then realise nothing else offers what the 330d e46 touring does. Hi Charlie! I’d be interested to know what a local, reputable gearbox specialist would charge for a repair. Repairs and upgrades on these cars will always compare unreasonably with the value of the vehicle, but that comes with the territory in my view. At least they aren’t depreciating every month! If you have a five-speed box, I might consider using this as an “excuse” to upgrade to a six speed unit. It doesn’t sound too complex, though there are some hurdles to overcome. This thread is a good starting point. Good luck! I recently found a nice example (although Blue) and snapped it up, and have stumbled onto your site looking for winter wheels – a happy distraction and a new bookmark! – Did you remap the ECU as well as upgrade to a LSD? If so, any downside? I’m swithering between remap + LSD and preserving the gearbox…. – Where did you source the fitted boot liner? 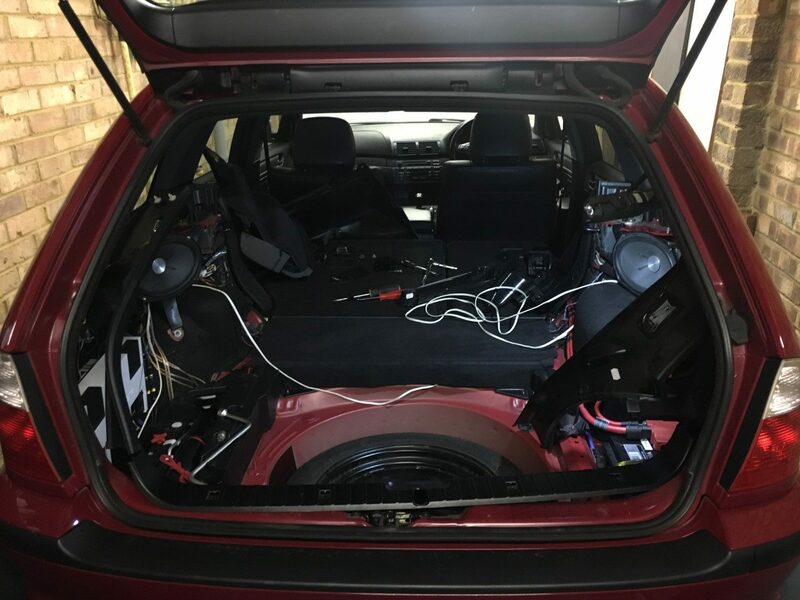 – Any tutorials on the speaker install? Hi James. I’m glad to hear you’ve found this post of interest! 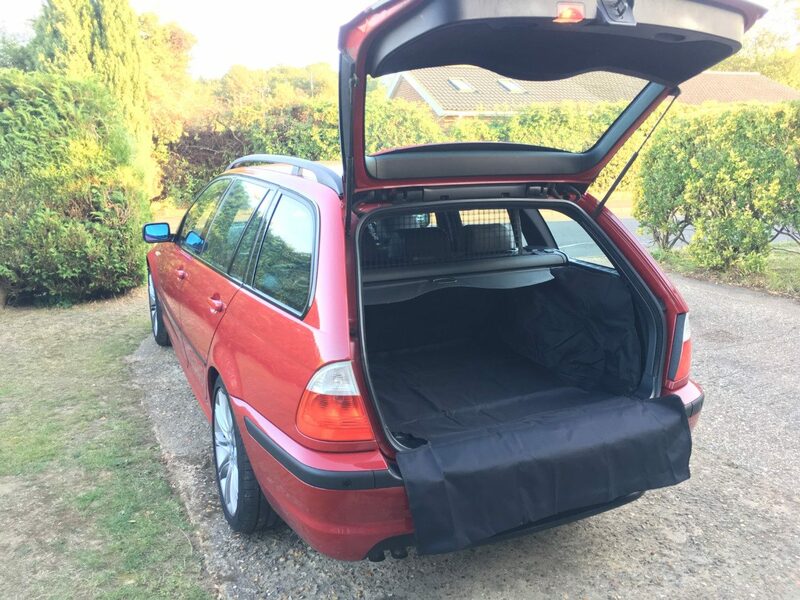 I got the boot liner from https://www.ukcustomcovers.com/ It isn’t as good as the Hatchbag (https://www.hatchbag.co.uk/) liner I got for the e91, but they don’t make one for the e46, and the Custom Covers one was much cheaper. The only thing wrong with it is that its documentation suggests that the rear headrests can be removed, and I don’t think that’s possible without risk of destruction. My work around was to use some stiff black cable to connect the cover’s loops around the headrests so they didn’t need to be removed.